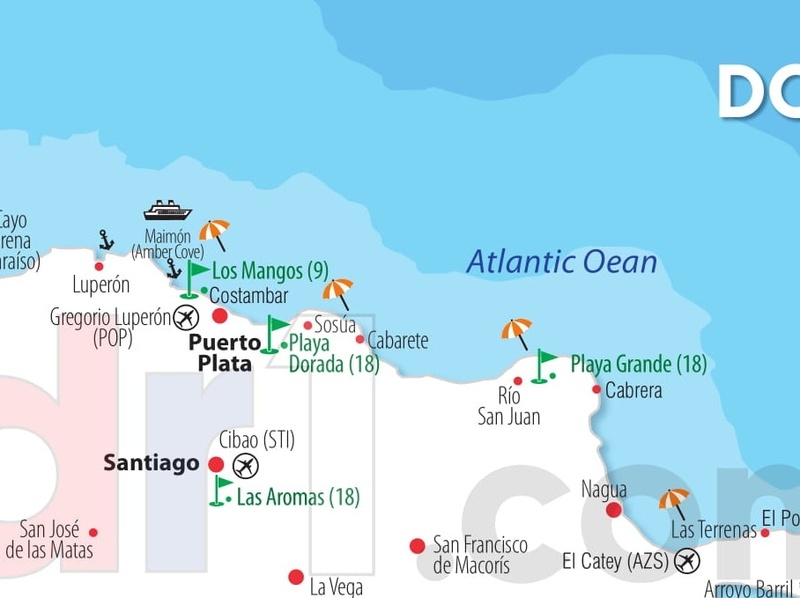 The Dominican Republic is known as one of the best places in the world to tee off, and the North Coast has its own share of incredible, interesting courses. One day enjoy stunning ocean views while you play, the next swing across incredible tropical valley vistas. There is enough challenge and diversity for every golfer, and price tags that will make you smile. Opened in 1976, this beautiful creation by legendary architect Robert Trent Jones Sr is located in the popular Playa Dorada resort complex in Puerto Plata, providing easy accessibility and numerous accommodation and package options. Playa Dorada Golf Course offers five holes with sea-views, including one directly adjacent to the Atlantic Ocean. 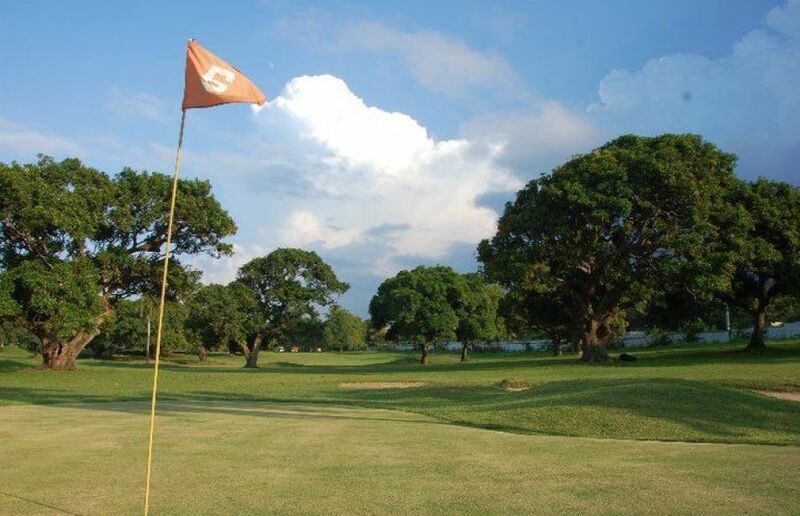 The relatively flat course is known for its outstanding conditioning and exceptional greens. . Fairways are wide with little rough, and greens are generous, featuring water hazards and strategically placed bunkers to spice things up. It’s an ideal vacation resort course that can be enjoyed by all golfers, yet one that still offers challenges. With a location just 15 minutes’ drive from Puerto Plata airport, golfers can play on the day they arrive or before they leave. 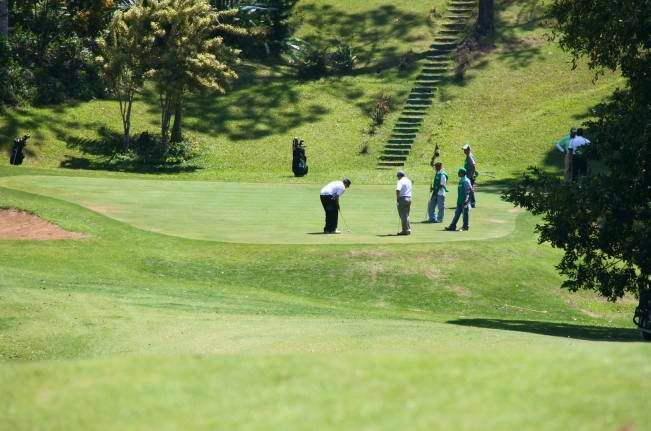 Golfers play among tropical fruit trees at the golf course located five minutes from Puerto Plata city. Los Mangos, which opened in 1986 and was remodeled in 2001, is a nine-hole golf course measuring 3,300 yards. Par is 35. Elevated greens can make the golf course tricky. An example is hole No. 3, where the green can’t be seen from the tee. The par 4s are short, but the par 3s are a true test. In the summer, players even enjoy eating mangoes as they play. An executive course, it is easy to play two straight rounds using the different tees. This course is located in the Costambar residential development, ten minutes from the city of Puerto Plata. 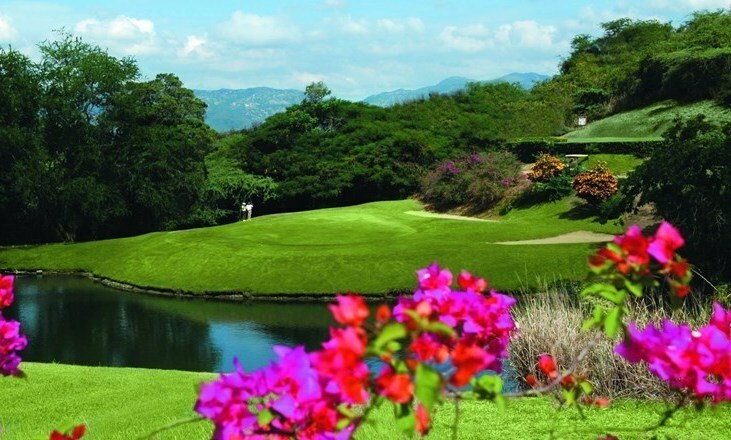 Santiago city golf course with panoramic views of Santiago, the Cibao Valley and the Yaque del Norte River. It was designed by Pete Dye during the same period when he completed his masterpiece the “Teeth of the Dog” in La Romana. With ascents and large inclines to challenge golfers, it has four par-3 holes, two par 5 holes, and 12 par 4 holes. Although it is a fairly short course, its narrow fairways, small greens and many traps along with the 135 slope rating make it one of the hardest in the country. Nestled between spectacularly beautiful mountain ranges, the Jarabacoa Golf Club is most unique in that it is the only mountain golf course located in the Antilles. 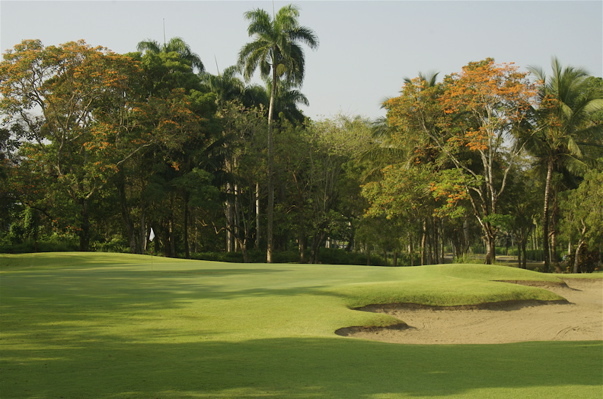 The lush vegetation on this course makes playing a special pleasure, each hole showing off its delightful display of indigenous tropical plants and trees, such as Pinus occidentalis and Creole pine. Local folklore says that Robert T. Jones helped design the course on a napkin. The surprising slopes on some holes and interesting features on others increase the fun and challenge of playing here. Carved out of the Cordillera Central Mountain Range with beautiful vistas on every hole, the Jarabacoa Golf Club’s nine holes cover a distance of 2911 yards with two par 3, five par 4, and two par 5 holes on 43 acres. The inclinations and slopes, which adapt so perfectly to the terrain, offer different challenges to golfers of all abilities.